In need of easy ways to stay fit? 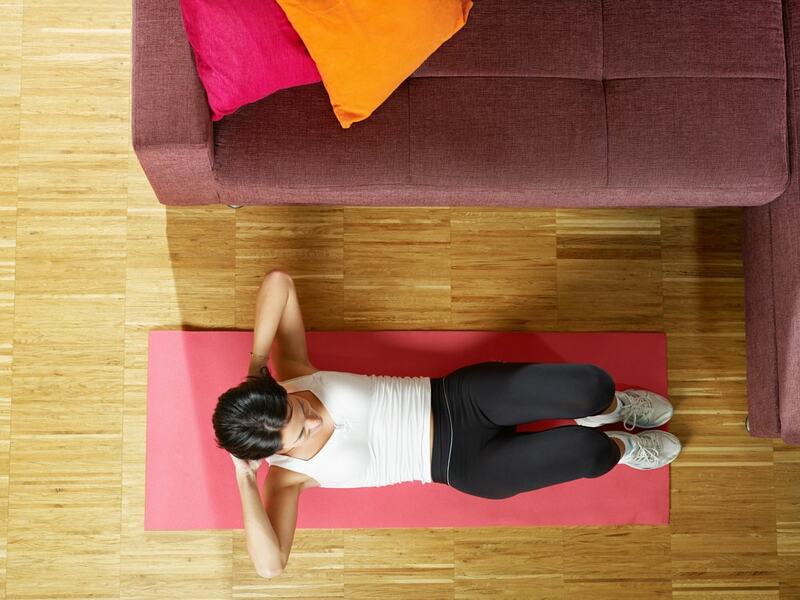 Here are 12 exercises to do at home that won’t tired you out. Many of us retrieve the newspaper or our mail each day. This is the perfect time to squeeze in an extra two to five minutes of exercise. Consider a brisk to the corner of your street, or even around the block if time allows. Waiting for a pot to boil? Instead of hopping on social media, get in a few minutes of standing push ups. Stand back from your countertops about an arm’s length. Grasp the edge of the countertop push your body inwards and outwards. This is a quick and easy exercise to get beautifully toned arms! Consider good old-fashioned jumping jacks. Even just a few minutes of this heart-pumping exercise is a great way to burn off some extra calories. In fact, a 150-pound female can burn 45 calories in five minutes time. Do you have a habit of watching television at night? If so, keep free weights nearby at all time. Whether you are standing or sitting, there are a wide variety of dumb bells exercises you can do, all while enjoying your favorite show. Have children? Get them in on the fitness action as well. Make it a commitment to go for a short walk together after dinner, or play a game of tag or hide and go seek outdoors if the weather is accommodating. Stuck waiting at an appointment? This is an ideal time to take a walk around the building or parking lot. Ask a staff member how long you will be waiting and inform them you plan to take a quick walk. Need a five-minute break from work? Spend a few minutes climbing the staircase at your office or in your home. It will get your heart pumping and is a great workout for your legs. Love music? Hop onto YouTube or a music television station and spend five to ten minutes just free dancing around your home. Catching your new favorite series on television? Make a commitment to jog in place or do jumping jacks during every commercial break. You can even combine this with the dumb bell exercise above for great work out! Traveling and stuck at an airport? Make the most of your time and walk around the concourse. If you tend to leave work each day for lunch, try to find restaurants nearby that are close enough to walk to and commit to not driving there. If money allows, purchasing even a used treadmill or elliptical allows for easy exercises at home that are extremely effective.